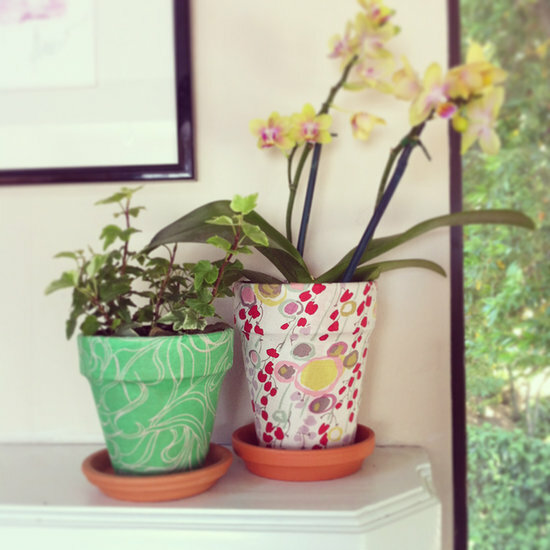 If you have old and dingy-looking terra-cotta pots, then transform them into decorations with fabric. Your indoor blooms will blossom into chic decor that really catches the eye. 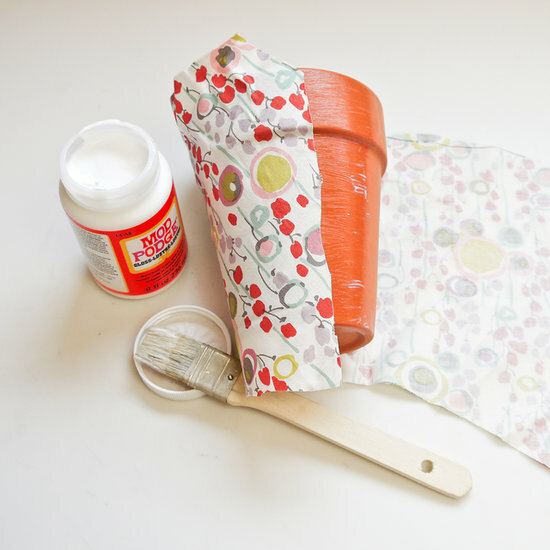 This is a greatDIY for giving new life to your favorite fabrics that may have been stained. 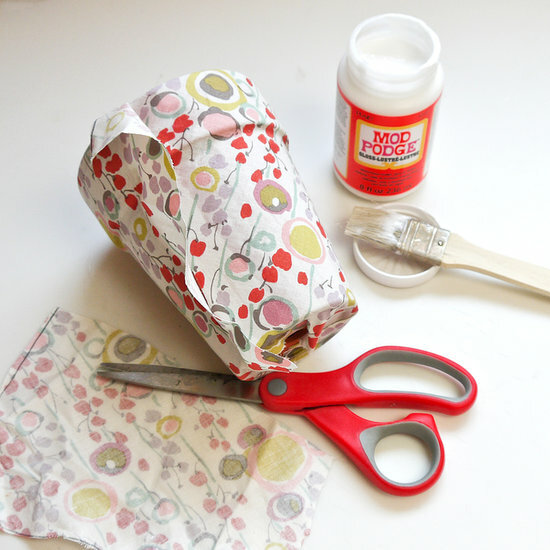 All you need is a bit of craft glue and you're ready to get creative. Keep them for yourself or give the finished pots asgifts for birthdays or special holidays. Select a fabric, and flip it so the print is facing down on your work surface. If things are a bit wrinkly, then iron the fabric before starting. Now place your pot on its side close to one end of the fabric, and use a pencil to mark the fabric about one inch from the top and bottom of the pot. 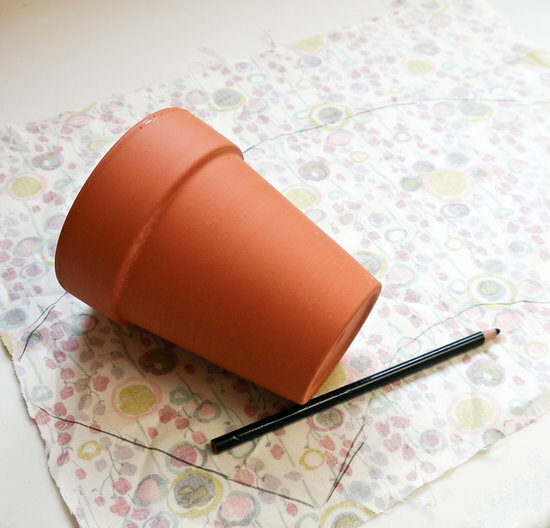 Roll the pot while continuing to mark the fabric with a pencil to create an outline for the fabric cutout to cover your pot. Cut out the length of fabric you're using, and then lay it flat next to the pot. Coat a section of the pot with glue, and begin attaching the fabric, pulling and pressing so it lays flat without any creasing or bunching. Press over the top lip and underneath the pot, adding more glue as needed. Continue coating the pot with glue while pressing and smoothing the fabric. Once the entire pot is covered, cut away the extra fabric and fold over to create a seam. Coat with glue and press to seal. Flip the pot over and seal the bottom with glue. Once dry, do the same at the top of the pot. 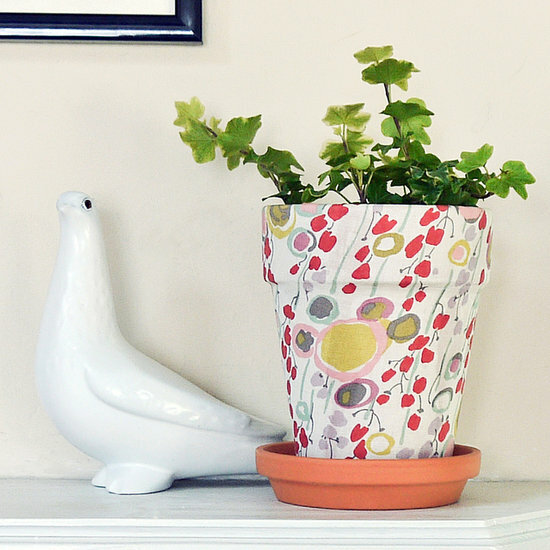 Fill your finished fabric-covered pot with a plant, and find the perfect spot in yourhome to put it on display.